The Pontiac GTO was arguably the originator of the muscle car movement and to this day, it still stands out as a classic. I love this color, I love the engine choices and most of all the body lines. This car only kept getting better and better up until about 1971 when it crashed. Not just the GTO but all muscle cars. We all know the reasons why by know but I am still bitter. Bitter because the fuel side of it was pure bs. Yes we needed to clean up the air but the fuel shortages and all that stuff was pure bs. When I see a GTO rolling down the road it stops me in my tracks. I see beauty. I see a way of life that was simple and pure. Yes, everything must change at some point but this car changed like so many others into something we did not recognize. That is the hard part I guess. If it was a checker cab they did not change much. But the GTO changed radically over the next few years into something we should not have called a GTO. So, let’s just stop for a moment, take a deep breath and marvel at this 60s classic which still looks as good today. 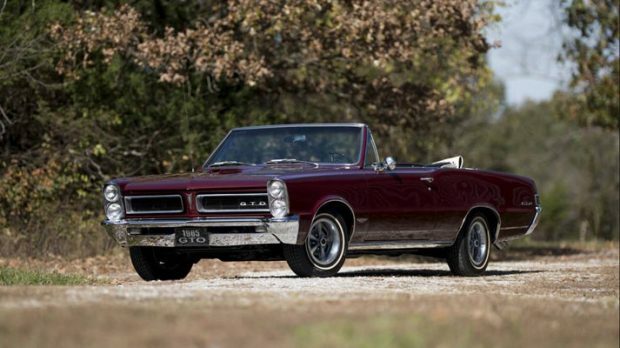 This GTO has youth and vision written all over it. Wow.